Food delivery apps are mainly order generation and logistics aggregator. How these food delivery apps make money, what is their business model? food delivery apps with discounts, food delivery apps for my area, top 10 food delivery apps, food delivery apps in dubai, doordash food delivery, seamless food delivery, grubhub food delivery, food delivery service, food delivery near me, cheapest food delivery app, uber eats, zomato, swiggy, talabat, foodpanda. 06 Jan What is the Business Model of food delivery apps? Food delivery apps or food-tech is no longer a cliché and is one of the most used services in the world today. With the advent of technology especially mobile apps, these food delivery apps have tapped on “convenience” factor and are one of the fastest growing sectors in food-tech business. 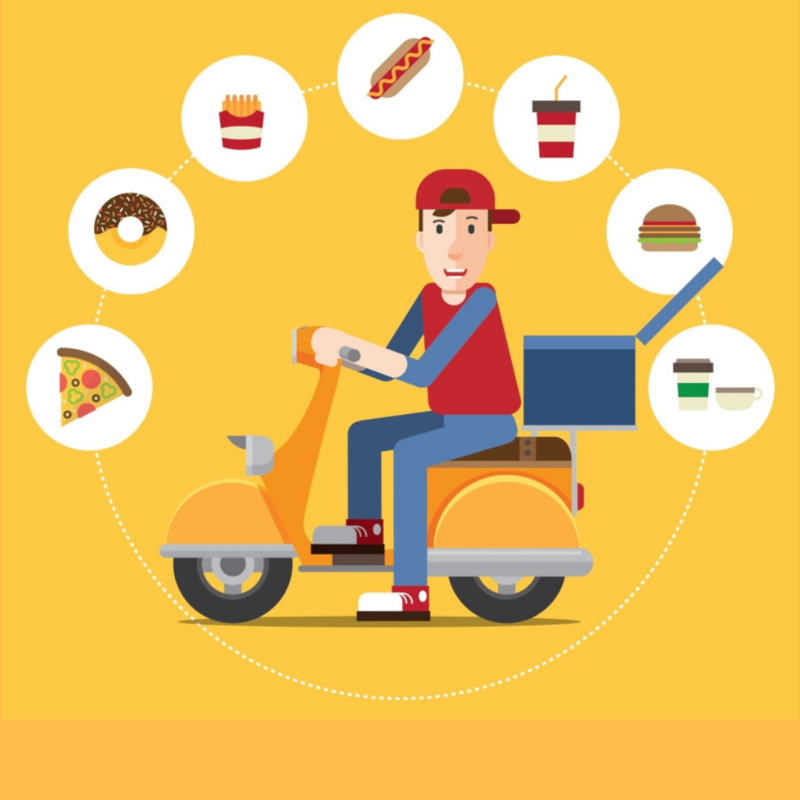 Food delivery apps are mainly lead/order generation and logistics aggregator in the food service space. I am writing this article based on my personal preferences and habits wherein ordering food online or through an app using food delivery apps like Swiggy, Zomato, talabat, Ubereats, deliveroo has become a norm for me, whether it is just a casual dining option or ordering food for family get-togethers, I have become habitual of using these food delivery apps. Being a curious person, I wanted to study as to how these food delivery apps make money, what is their business model? I have deeply researched this subject and found some interesting facts. I am sharing these facts and my learnings on this topic since it is an interesting sector which has evolved in the last 5 years or so. Thanks of course to technology and let me also highlight that it has provided jobs to several people and provided them with a steady income. Hence this food-tech is not only creating additional jobs but contributing to the overall socio-economic foundation. As per statista.com, the market size of food delivery apps in the United Arab Emirates will be worth about 13.2 billion U.S. dollars in the UAE by end of 2018. 26% of people order food online at least once a week while another 24% do so two or three times a week. The surge in food delivery apps in recent years is a clear signal of their success. This sector is working on one premise, “fulfilling your craving for food by providing your desired food at your doorstep in the most convenient and time-saving manner”. What led to the growth of food delivery apps? The restaurant business involves high investments in space and equipment. Operating expenses are also high, with raw material contracts and staff — for every minute these aren’t utilized, they lose value and hit margins. The only way to make money is to ensure a growing number of orders – that’s where food tech or food delivery apps comes to their rescue. Restaurant sector forms a part of unorganized sector wherein there are big restaurant chains (dominated by MNCs) and various small restaurant owners & cafeterias who caters to their close proximity customers by delivering ordered food through their own carrier, most of the time a delivery boy using a bicycle. Food delivery apps have given these small restaurants an opportunity to reach wider geographies and increase their top line orders. As per statistical data in India alone, Zomato has recently crossed the three million deliveries a month mark. This is in just two years since launching the meal delivery service. It has 25,000 restaurants on its platform in India, including 7,500 that are exclusively available only on Zomato. The commissions earned from restaurants form the primary source of revenue for these food delivery app companies. The quantum of commission depends upon a lot of factors which include the value of the order as well as the location and popularity of the restaurant. All these food Apps charge a commission to the restaurant between 22–30% on each order placed. The discounts are extended by the restaurants individually. Swiggy, Zomato, and Ubereats also charge an additional amount for ads within their platforms for the positioning of a restaurant in a particular category. These food delivery apps charge restaurants fees for featuring them in their curated list of restaurants on their app/website. Being featured on such curated lists often helps these restaurants find more business. These food delivery apps, especially Swiggy & Zomato tie-up with the restaurants by offering a deal on one of the best dishes that a particular restaurant has to offer at throw away prices. These apps promote them on their deal pages and orders are generated and passed onto the restaurants who use the principle of upselling the side dish orders or beverages with the deal or discounted dish. It offers win-win solution to both customers and restaurant owners. Higher the ticket price, more commission for the food delivery apps. Another one which not many may be aware of. In India, Swiggy has entered into white labeling restaurants. Ones that are doing extremely well, but have now become completely Swiggy reliant, are offered the option to white label their products. Are these best food delivery apps like Zomato and Swiggy making money? Here comes the most difficult trivia, a question that most of the finance professionals in food business hate to answer. Foodtech startups are built on the foundation that roti (food), kapda(clothes) aur makaan (home) could never go out of demand, but over time many of them faced an early death. By 2016, several food startups – TinyOwl, and EatOnGo – were out of the fray; Only the ones with deeper pockets and funding’s have survived the bloodbath. However, there are only a few players like Ubereats, Zomato, Talabat, Swiggy who survived the first stage. Investors, Venture capitalists, and entrepreneurs have burnt their fingers and realized that food is a tough business. 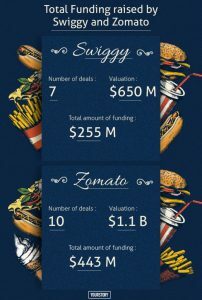 Both Zomato and Swiggy have also launched the cloud kitchen vertical, where the company provides the space and sets up a physical kitchen for participating restaurants that just have to get the food made and fulfil deliveries. Whether these food tech or food delivery apps make a profit in years to come needs to be seen and tested as currently, they all depend on VC funding based on valuations and top line order generation. Check out this interesting video which would summarize my article holistically. “One cannot think well, Love well, sleep well if one has not dined well”. I think this quote summarizes the future of food delivery apps and its usage going forward. I would welcome questions from my friends, readers, who would like to get my help in their food tech venture. I would love to share my wisdom acquired by deeply researching the topic and presenting the same in an easy to understand format for my readers. I can be reached at riteshmohan@yahoo.com. Very interesting detailing abt food apps.. In uae Zomato & talabat have a market share .However I wonder how profitable are other apps like ubereats, deliveroo etc… here most restaurants have their own delivery system. In india it is a different story though.